The body’s natural anti-viral immune response is characterized by precision, potency and persistence. These are the qualities we seek in the cure for cancer. We employ our understanding of the body’s anti-viral immune response to rationally design the next generation of cancer treatments. 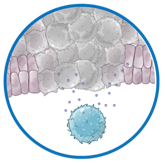 Our core technology redirects the innate and adaptive arms of anti-viral immunity to create a sustained anti-cancer immune response. 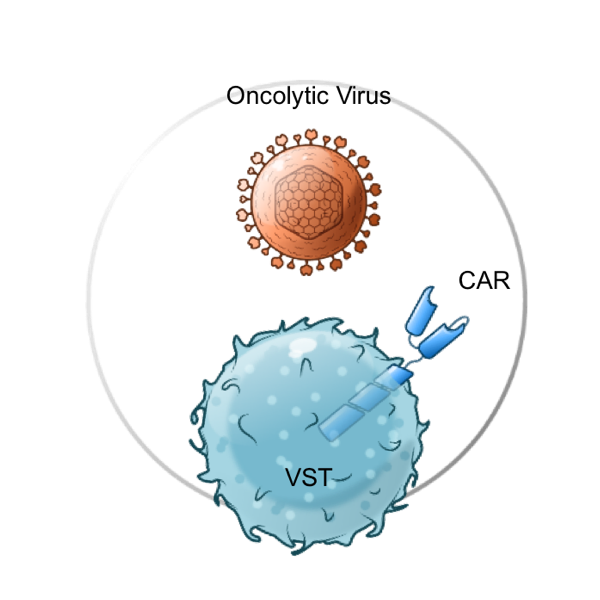 VSTs are a type of T cell produced specifically in response to a viral infection. 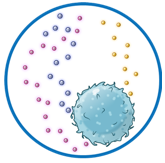 These cells have the ability to recognize and kill infected cells while activating other parts of immune system for a coordinated response. 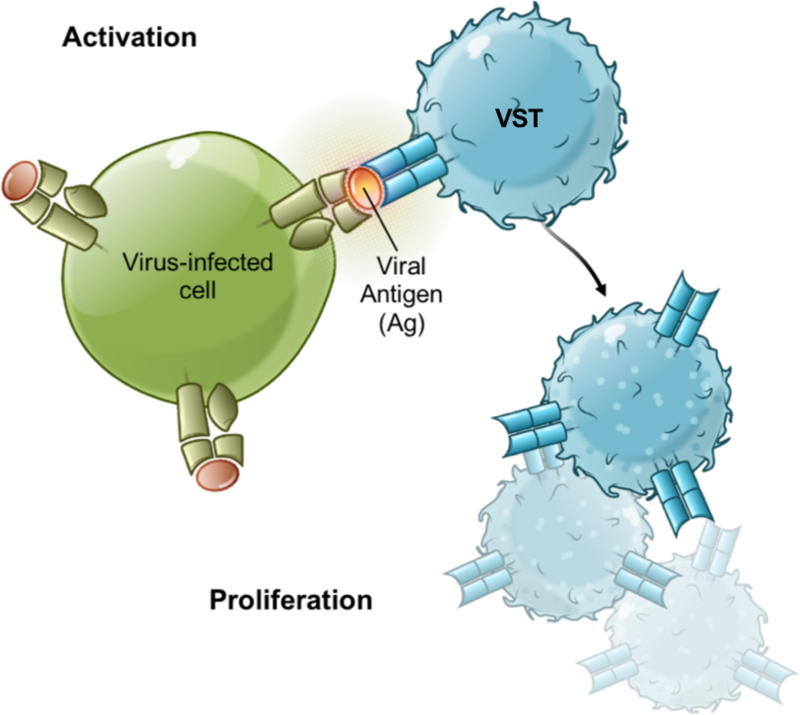 VSTs persist in the body and activate a rapid immune response if the virus is encountered again. 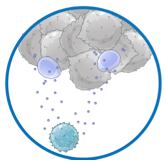 VSTs can recognize viral antigens located on the surface of the tumor. 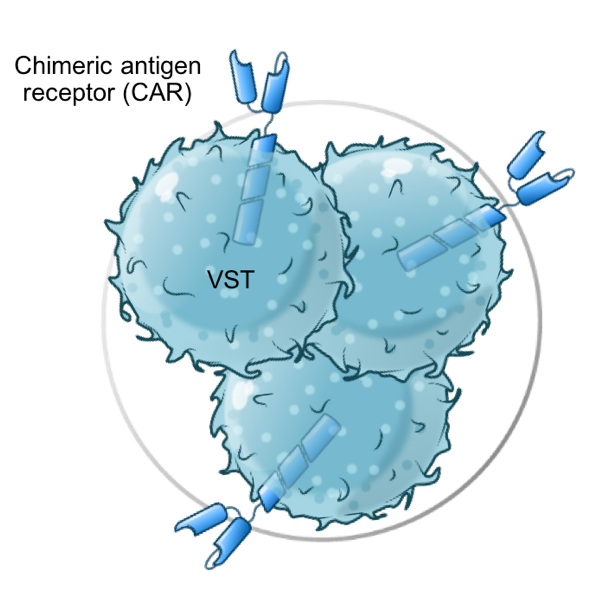 After infusion, the VSTs migrate to the tumor site and bind to the viral antigens. The act of binding causes the release of cytotoxic granules from the VSTs that destroy the cancer cells. How is our VST Platform widely applicable? Tessa’s VST platform technology can be used with a wide range of next generation therapies. We are pursuing a number of trials using rational combinations that hold the promise of significantly enhancing both the reach and the potency of our therapies. 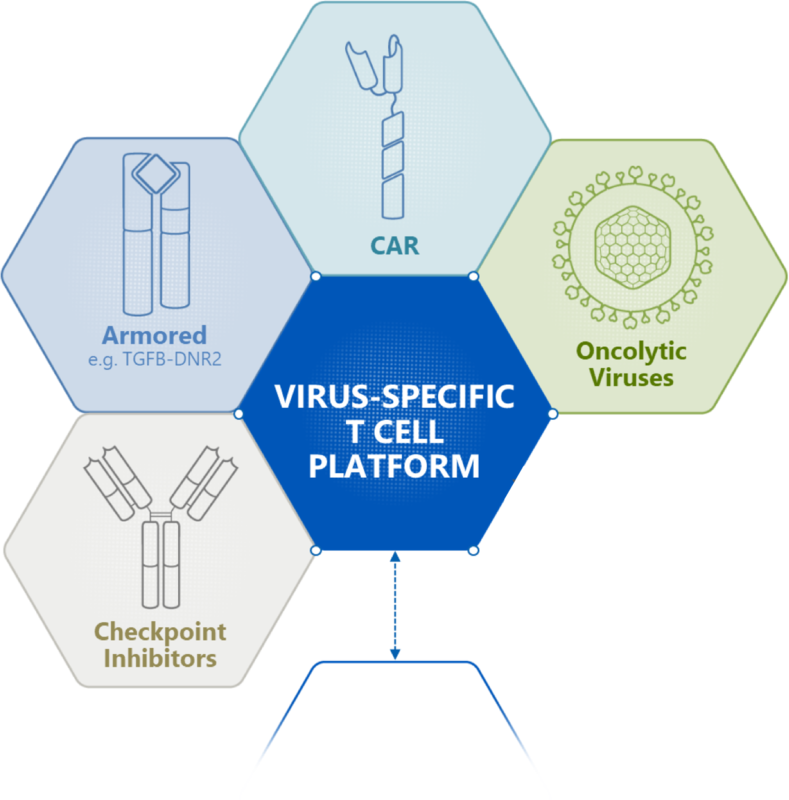 CAR VSTs combine the safety, durability, and persistence of VSTs with antigen specificity of a CAR. Tessa has a range of other CAR targets in various stages of pre-clinical development. Oncolytic viruses selectively replicate and destroy cancer cells. Combining VSTs with oncolytic viruses boosts the innate and adaptive immune response against the tumor.